The African Civil Society under the auspices of Pan African Climate Justice Alliance, bringing together diverse groups from the youth, Indigenous Peoples, farmers, faiths, NGOs and networks has told the African Ministerial Conference on Environment (AMCEN) that climate change negotiations under the United Nations Framework Convention on Climate Change (UNFCCC) have so far delivered no concrete results as growing impacts of climate change continue to stand in the way of African development aspirations. `The last two decades have been characterised by unfulfilled promises and commitments by developed countries but still we feel that the multilateral process under UNFCCC is the only sure way to deliver fairness and justice for poor countries and communities` a statement by PACJA said. 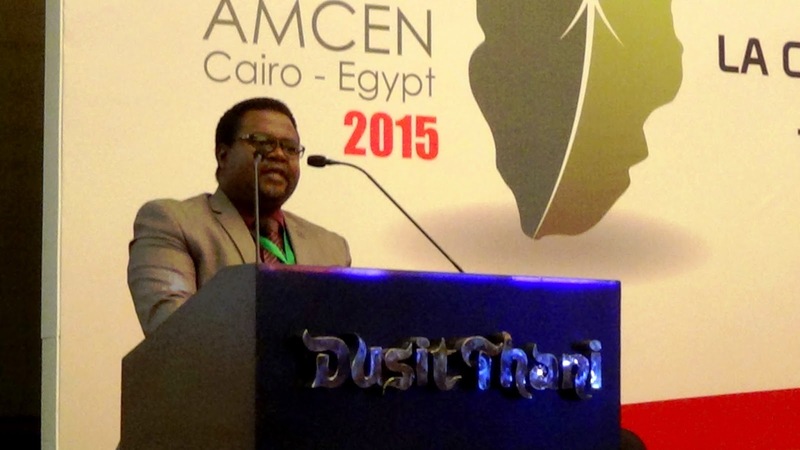 The statement was read by Augustine Njamnshi, member of PACJA before AMCEN conference in Egypt. 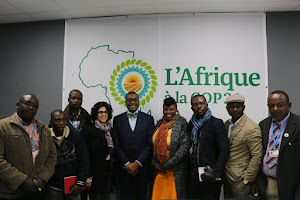 Njamnshi said, the African civil society wants Developed Countries Parties (DCPs) to mobilize at least USD 1 trillion and monetize pledges to the financial entities of the financial mechanism of the Convention in order to meaningfully implement adaptation interventions and low carbon development strategies. From Copenhagen, Cancun, Durban, Doha, Warsaw and Lima climate conferences, the rallying call of the civil society has been that the outcome of the negotiations must keep Africa safe, ensure food security and ensure a fair sharing of the atmospheric space between North and South. `We should not hold back from putting pressure on rich countries to change excessive production and consumption systems while protecting and compensating communities affected by their historical actions. Discussions around the new climate change agreement should be preceded by the rich countries honouring the promise they have already made as a signal of good faith` Njamnshi said. Concretely, the African civil society is advocating an agreement that will compel developed countries to communicate emission reduction targets as Intended Nationally Determined Contributions (INDCs) that commensurate to keeping global average temperature well below 1.5°c and against principles of equity -historical responsibility, capacity, the right to sustainable development. `African should also ensure the transfer of finance and technology via strengthened institutions like the GCF(Green Climate Fund), the Adaptation Fund, and the Adaptation Committee is part of its demands in Paris UNFCCC-COP21` Njamnshi urged the ministers. `We further call for full operationalizing the Warsaw Mechanism on Loss and Damage and its full inclusion in the 2015 agreement. Also, focusing on provisions to address the rights and needs of climate displaced people and for managing risk` he said. The civil society implored the ministers to engage and proactively create spaces, for the participation of environment and climate change experts and African Civil Society from the Environment sector in the post 2015 sustainable development Goals and processes to take place in New York this year. `There is a need to mobilise and focus citizen participation on a scale without precedent` Njamnshi said. Africa is dependent on its natural capital, Njamnshi said and exhorted AMCEN to ensure that the utilisation of natural capital is by Africans for Africa, in a sustainable and equitable manner. He said it was crucial to ensure the active participation of youths and women in environmental processes on the continent. `African government through its relevant organs like AUC, AfDB, ACPC, RECs and other agencies like UNEP, UNECA, NEPAD etc should support and strengthened the work of African Working Group on Gender and Climate Change. We urge AMCEN to institutionalize and provide financial support to relevant youth organizations and initiatives in Africa` Njamnshi said.